22 China Arena Football League players and two coaches are making an impact in the Arena Football League in the United States. Several CAFL All-Pro Selections are staring on both sides of the ball through the first three weeks of the AFL season. 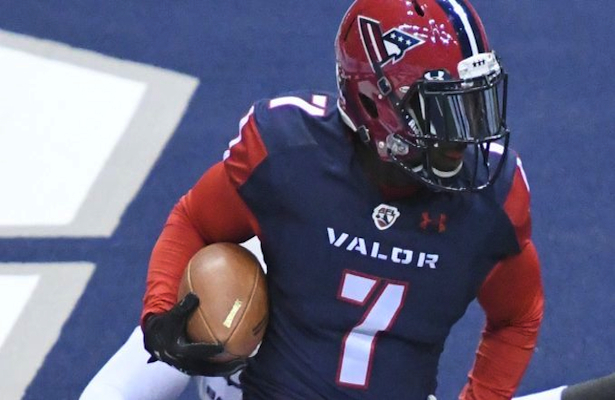 On offense, Shanghai’s Mike Washington is the leading receiver for the Washington Valor. The CAFL’s Judge Spirit Award winner and All-Pro South selection was the AFL Offensive Player of the Week in the first week of the season. Washington led the CAFL with 47 receptions last year. Also among the AFL’s best are Beijing’s Collin Taylor (Cleveland Gladiators), Qingdao’s Reggie Gray (Baltimore Brigade) and Shanghai’s Shaun Kauleinamoku (Philadelphia Soul). On the defensive side of the ball, Dwayne Hollis of Shanghai with Torez Jones and James Romain of the China Bowl Champion Beijing Lions continue to excel for the AFL World Champion Philadelphia Soul. Jones, the CAFL Defensive Player of the Year with eight interceptions, already has an interception and a conversion pick for a defensive score, Romain, the CAFL Steel-Man of Year, has one interception and has returned a missed field goal for a touchdown and Hollis has three interceptions including a pick six. Beijing Head Coach Clint Dolezel and Assistant Coach Adam Smith have also reunited with the Soul. Dolezel continues as the boss in Philadelphia while Smith has returned from retirement to play offensive line once again. The following is a complete list of the AFL Teams with CAFL players, coaches and their CAFL accomplishments.